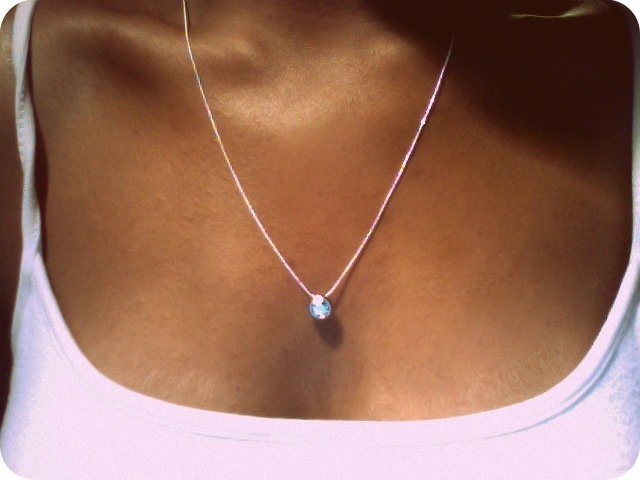 For the longest time, I have been trying to find the perfect solitaire diamond necklace. I wanted one with a thin chain and a small round diamond. After combing through Amazon, Ebay, and etsy and not finding anything I liked within my price range, I headed over to Hobby Lobby to make my own. The chain was on clearance for $1.47 and the gem came in a pack of 6 or 8 for around $4. I say that’s money well spent. The search for the diamond necklace is over! That is SO pretty, elegant and understated!! I’ve never heard of Hobby Lobby, but I am going to hit my local craft store! Lol thanks! I do my best with what I have. I love home decor and design. I’m sure any craft store will have the materials, a clasp necklace and diamond gem. It’s my new everyday necklace!